Way back in 2001, the previously-mothballed rail link to Portbury had been renovated and was due for re-opening. 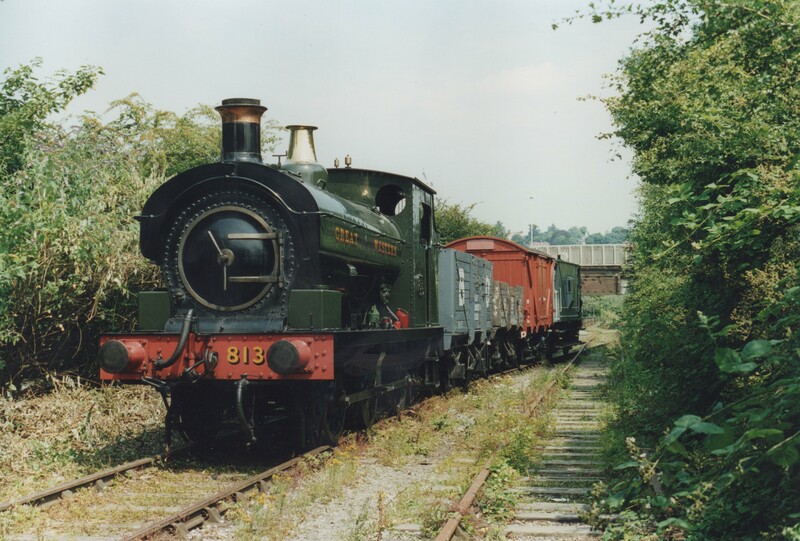 The opportunity was taken to run a special 3-coach train hauled by the museum’s own loco ‘Portbury’ from Parson Street Station (Where the Portishead branch leaves the Great Western Main Line) to the new terminal at Portbury dock. Here are two videos on YouTube documenting the event, one taken from the leading carriage of the special train. 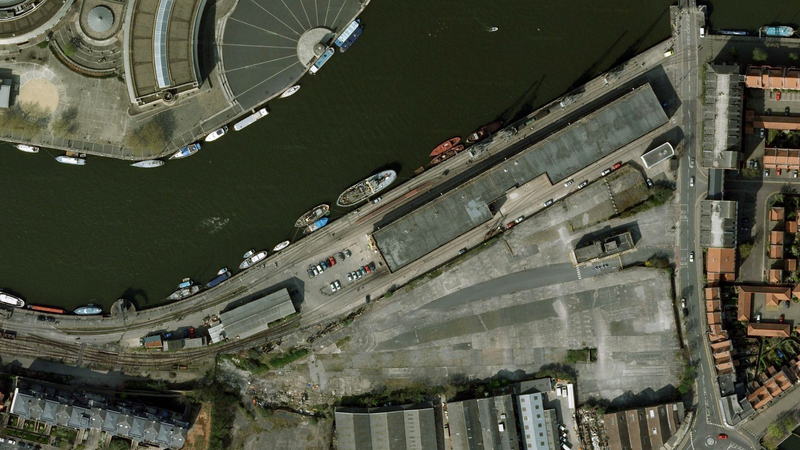 Google maps’ view of the area around M Shed is now outdated, but does give an interesting insight into how the landscape around the railway has and continues to evolve. I cobbled together a few images to give a bigger picture. You can see how M and L shed were formerly much more separate, with rail access to the workshops in L shed behind. Also visible are the old reclamation yards to the South, now a building site for Umberslade’s housing project. The end of the loop where the temporary ‘barn’ was constructed is to the West side of the picture.